Is there ever a movie, or anything at all, that you find hard to describe in its greatness? That simply deeming ‘cool’ or ‘freakin’ sick’ would not come close to giving it its proper praise? 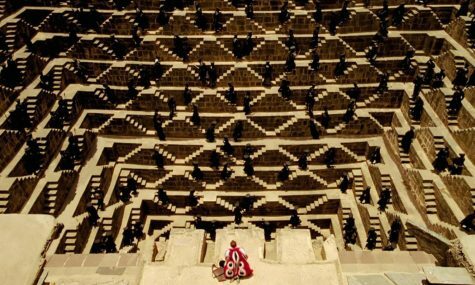 That’s how I felt when watching The Fall (2006), written by Nikos Soultanakis, Dan Gilroy, and Tarsem Singh. Roy (Lee Pace), a stunt double for the pictures, is paralyzed while filming his latest role. While in the hospital, he meets a young Romanian girl named Alexandria (Catinca Untaru) who has been taken in for a broken arm. The plot revolves around their blossoming relationship as he tells her epic tales of five noble men on a quest for revenge. However, along the way, darkness of reality makes its way in and twists the story of the two new friends into something gnarled and wrenchingly depressing. By now, I’ve watched this film multiple times. And the last, which I watched with my mother, left a specific memory in my mind of her simply adoring Alexandria’s character, which I do the same. Untaru’s portrayal of the child is one of, if not the best examples of child acting I’ve seen. There were near to no points in the film when I felt like I was watching an actor. It was authentic, and for that, I applaud her. The rest of the cast was fantastic as well. You could truly feel the passion of the multiple years and multiple countries of filming through their performance. The gorgeous theatrics of it made me feel as if I was perhaps watching Cirque Du Soleil. Let’s refer back to the plot, and I don’t mean Roy and Alexandria. Similar to Nocturnal Animals (2016), this film is split into two: Roy and his story. When telling his tale, we are shown the visuals through Alexandria’s imagination – and, of course, a child’s is a beautiful one. In it, his characters are shown as people she has seen in real life. Heroes are those she admires, and villians those she fears. The aspect itself is interesting enough, but the take on which they did it was even better. Because the people weren’t as they were seen in reality. They were all gorgeous caricatures of the love and hatred she felt for them. Which brings me to my next point: costume design. Woah doggies, this stuff was good. I’ve mentioned in my review on Queen of The Damned (which I hate mentioning in a piece about something beautiful) that costumes – though unlikely – can damage or strengthen the quality of a movie. The Fall is a perfect example of the positive side of this. The entire time I watched it, the room was filmed with the sound of “rad” and “his hat is LIT”. Without any further humor, I can sternly say that this movie had the best costume design I have yet to see. Next, well, what would a movie be without a script? The Fall’s is simply hard to describe. There were times when I laughed, cried – but throughout the entire film there was this consecutive state of wonder. What would happen next, and how would it effect the story? This sensation was not only led by apprehension, but the childlike wonder of hearing a story of epic proportions. As with any movie, the ability to keep me on the edge of my seat for that long is something I take note of during my rating process. It was romantic, poetic, and overall outstanding. Let me begin this part by stating that this was a passion project. The remarkable visuals were not commercial, but from the depths of the creator’s strongest desire to show the world their vision. It took years. YEARS, to accomplish this. And, as mentioned, multiple countries of filming. The fact that there was that much dedication ought to say something, don’t you think? Perhaps that leaving their audience with a substandard outcome would be almost disrespectful. Well, they didn’t come close. Not near. When watching, I felt the same insignificance of thinking about the vastness of space – shadowed by its unfathomable tremendousness. It seemed too good to be true, but it only got better! 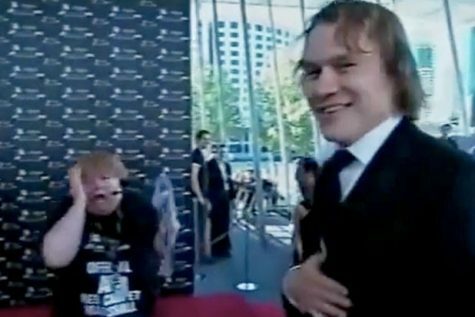 You know that video of the lady fangirling over Heath Ledger? That was me while watching. With all of these amazing descriptions, I still feel I have left its greatness unjustified. To anyone with the slightest interest in watching, I am begging you to go through with it. You will not be dissatisfied. I bet you can guess the rating. 10/10.